Machine learning (ML) excels in many areas with well defined goals. Tasks where there exists a right or wrong answer help with the training process and allow the algorithm to achieve its desired goal, whether it be correctly identifying objects in images or providing a suitable translation from one language to another. However, there are areas where objective evaluations are not available. For example, whether a photograph is beautiful is measured by its aesthetic value, which is a highly subjective concept. A professional(?) 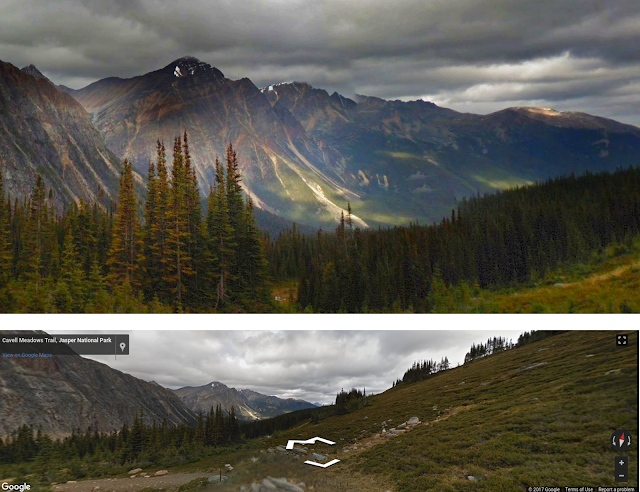 photograph of Jasper National Park, Canada. To explore how ML can learn subjective concepts, we introduce an experimental deep-learning system for artistic content creation. 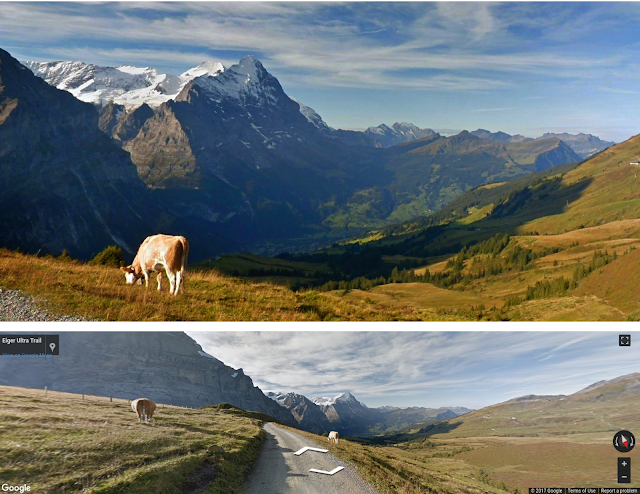 It mimics the workflow of a professional photographer, roaming landscape panoramas from Google Street View and searching for the best composition, then carrying out various postprocessing operations to create an aesthetically pleasing image. 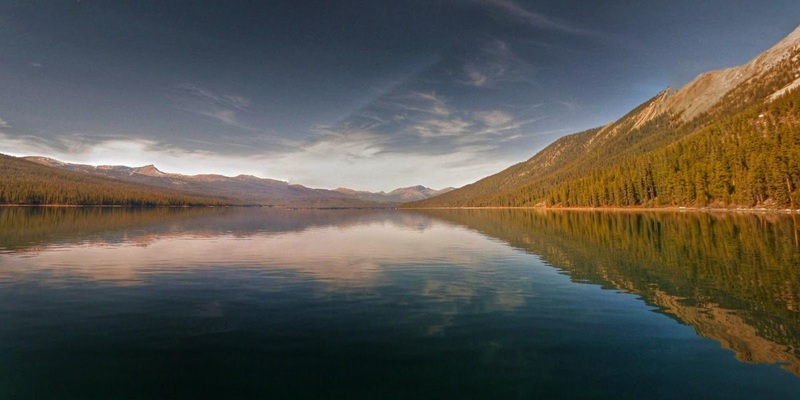 Our virtual photographer “travelled” ~40,000 panoramas in areas like the Alps, Banff and Jasper National Parks in Canada, Big Sur in California and Yellowstone National Park, and returned with creations that are quite impressive, some even approaching professional quality — as judged by professional photographers. 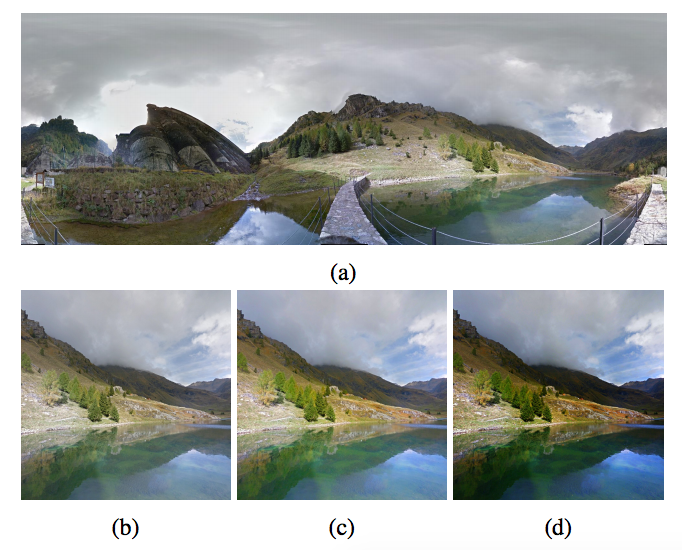 While aesthetics can be modelled using datasets like AVA, using it naively to enhance photos may miss some aspect in aesthetics, such as making a photo over-saturated. Using supervised learning to learn multiple aspects in aesthetics properly, however, may require a labelled dataset that is intractable to collect. 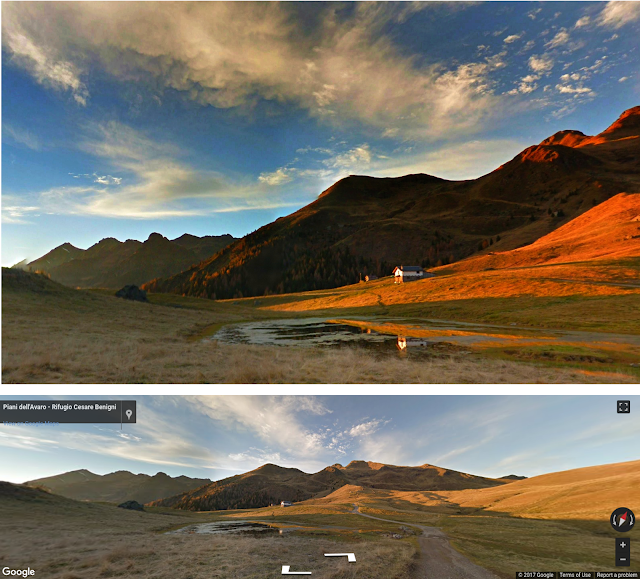 A panorama (a) is cropped into (b), with saturation and HDR strength enhanced in (c), and with dramatic mask applied in (d). Each step is guided by one learned aspect of aesthetics. A traditional image filter was used to generate negative training examples for saturation, HDR detail and composition. We also introduce a special operation named dramatic mask, which was created jointly while learning the concept of dramatic lighting. The negative examples were generated by applying a combination of image filters that modify brightness randomly on professional photos, degrading their appearance. For the training we use a generative adversarial network (GAN), where a generative model creates a mask to fix lighting for negative examples, while a discriminative model tries to distinguish enhanced results from the real professional ones. Unlike shape-fixed filters such as vignette, dramatic mask adds content-aware brightness adjustment to a photo. The competitive nature of GAN training leads to good variations of such suggestions. You can read more about the training details in our paper. Park Parco delle Orobie Bergamasche, Italy. 1: Point-and-shoot without consideration for composition, lighting etc. 2: Good photos from general population without a background in photography. Nothing artistic stands out. 3: Semi-pro. Great photos showing clear artistic aspects. The photographer is on the right track of becoming a professional. In the following chart, each curve shows scores from professional photographers for images within a certain predicted score range. For our creations with a high predicted score, about 40% ratings they received are at “semi-pro” to “pro” levels. 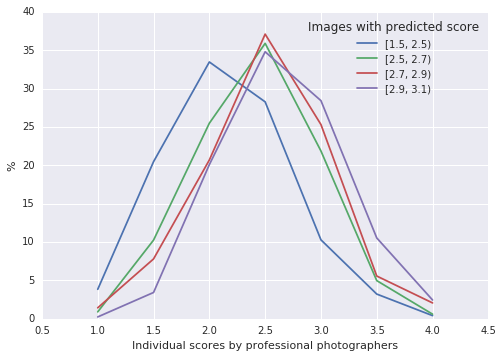 Scores received from professional photographers for photos with different predicted scores. The Street View panoramas served as a testing bed for our project. Someday this technique might even help you to take better photos in the real world. We compiled a showcase of photos created to our satisfaction. 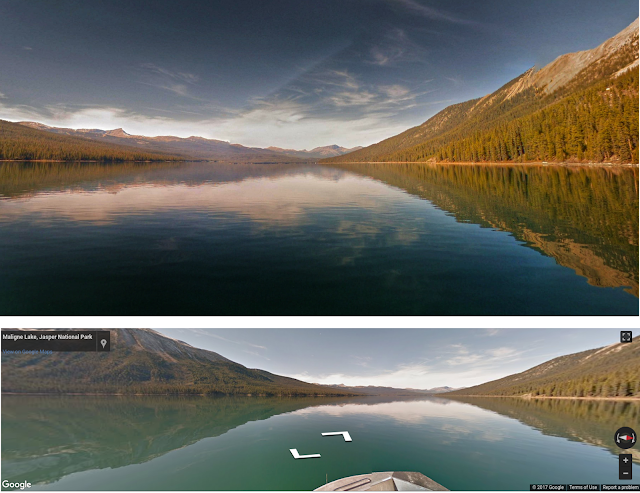 If you see a photo you like, you can click on it to bring out a nearby Street View panorama. Would you make the same decision if you were there holding the camera at that moment? This work was done by Hui Fang and Meng Zhang from Machine Perception at Google Research. We would like to thank Vahid Kazemi for his earlier work in predicting AVA scores using Inception network, and Sagarika Chalasani, Nick Beato, Bryan Klingner and Rupert Breheny for their help in processing Google Street View panoramas. We would like to thank Peyman Milanfar, Tomas Izo, Christian Szegedy, Jon Barron and Sergey Ioffe for their helpful reviews and comments. Huge thanks to our anonymous professional photographers!